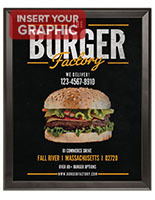 These Picture Frames have Vibrant, Black Aluminum Edges that Draw Viewers to Your Graphics! 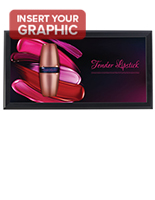 These Picture Frames Mount Two Different Ways for Double the Display Capabilities! View Our Entire Online Catalog Now for Wholesale Wood and Metal Photo Frames! 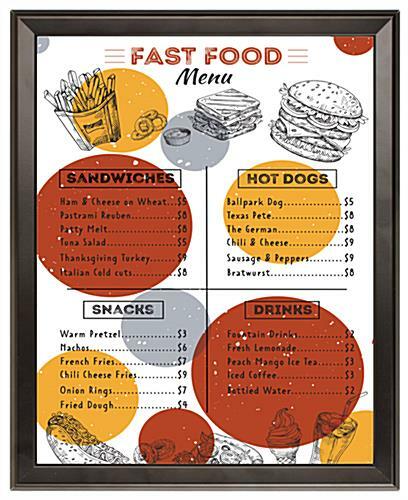 18" x 24" 20" x 30" 22" x 28"
24" x 36" 27" x 40" 27" x 41" 30" x 40" 36" x 48"
Snap-open frames make it fast to insert a print. Flat, black profile has a contemporary style that coordinates with most commercial settings. 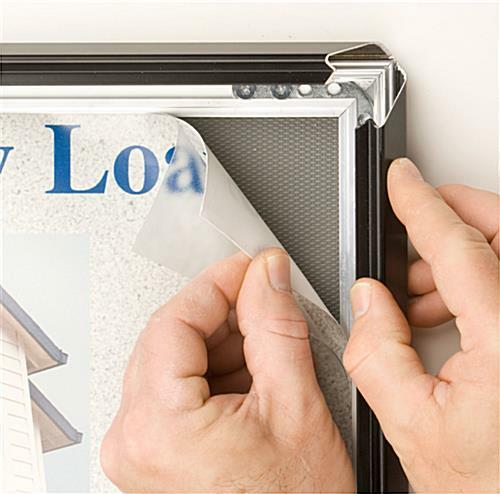 Poster frames come with a flexible plastic lens to protect prints. 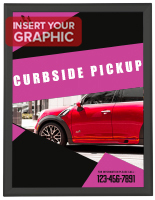 Aluminum molding measures 1-1/4" wide to accent graphics displayed within. 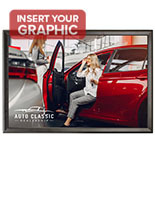 These picture frames offer the most value and convenience when evaluated with similar merchandise designed for displaying posters in modern atmospheres. All four sides of this unit snap open, enabling users to effortlessly load graphics from the front. The picture frames will not need to be taken off the wall and updated with a new poster, as a result of the handy, snap-open design. 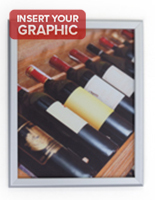 To protect graphics while showcased in the print holder, a flexible plastic lens is included, which provides a non-glare layer of for images. 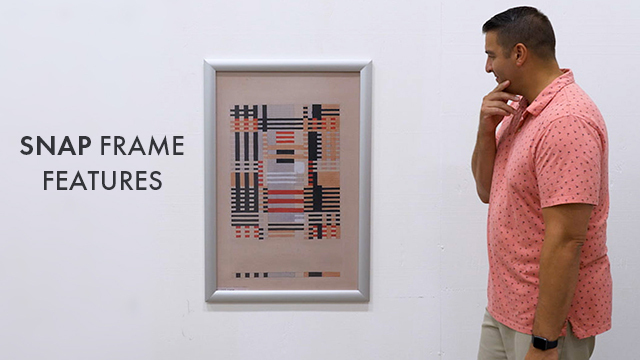 Pre-drilled holes are revealed when the edges of these 16" x 20" poster frames are in the open position. This enables the unit to be mounted in either portrait or landscape orientation. A hardware kit that includes four anchors and four screws comes with the purchase of these photo holders. 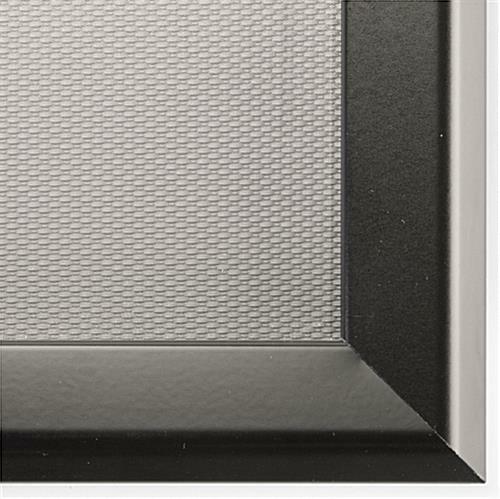 The picture frames feature an aluminum construction that ensures these picture holders will last for years to come. 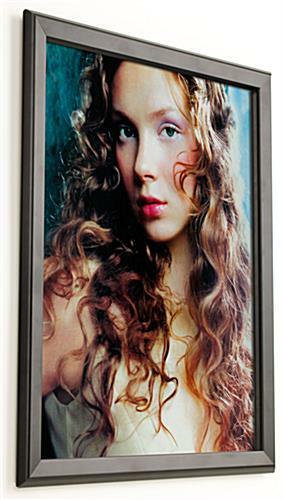 The aluminum construction has many advantages over wood or plastic photo frames. The picture frames, also known as wall poster holders, will not splinter, as many wood models do. In additional, the metal construction of this picture holder makes it much more durable than most plastic models. These picture frames are perfect for displaying a wide array of prints. Movie theaters advertise upcoming shows in this picture holder. 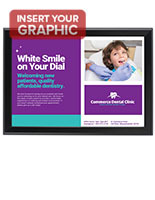 Retailers advertise the latest product or special using the snap-open frame. 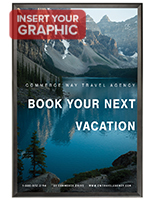 Additionally, businesses in the service industry, such as banks and insurance agencies, notify customers of new products and services with this wall-mounted picture holder. 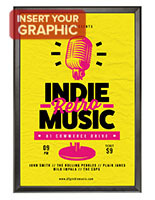 Why is this poster frame so popular among such a diverse group of businesses? 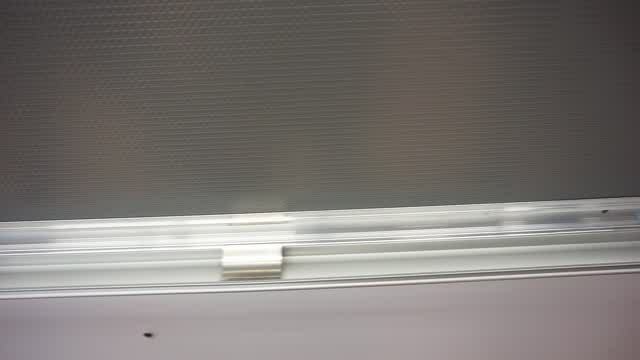 Because this print holder is an incredible value! The photo frame balances a durable and stylish design, with an affordable price!